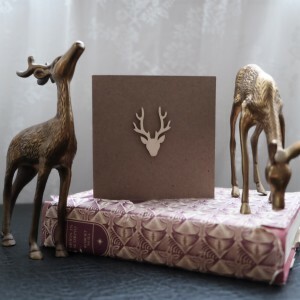 This beautifully simple card has a laser-cut stag head glued to the centre front of a recycled brown Kraft card. 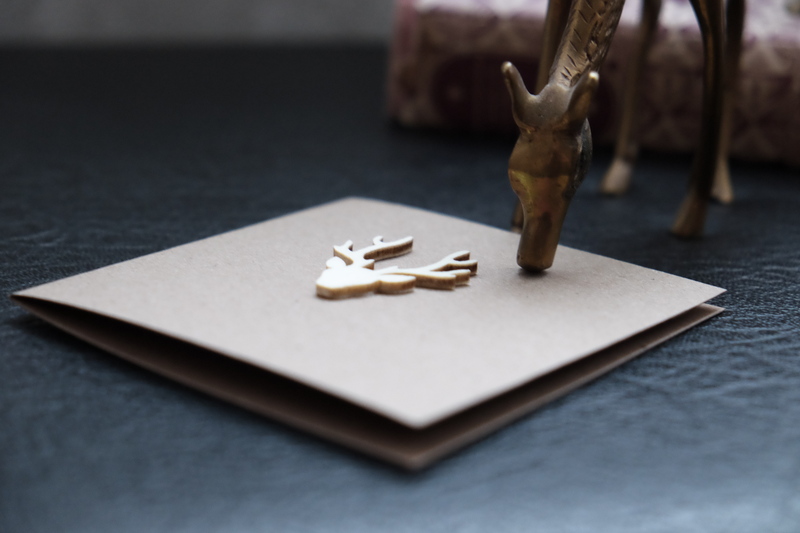 As these cards have been finished by hand and because of the natural quality of wood some irregularities may occur and the card you receive may vary slightly from the one pictured but rest assured each card has been lovingly made with care. 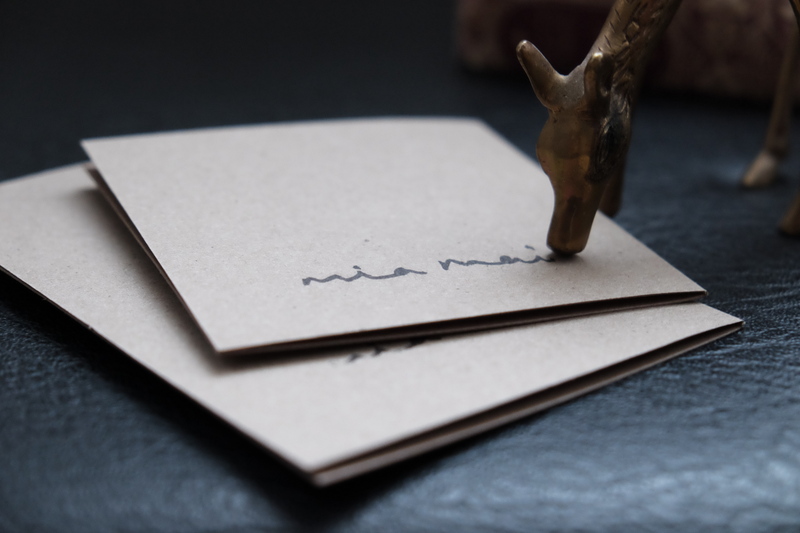 The inside of the card has been left blank for your own personal message and the back has been stamped with Mia Mai. The finished card measures 10.2cm square. 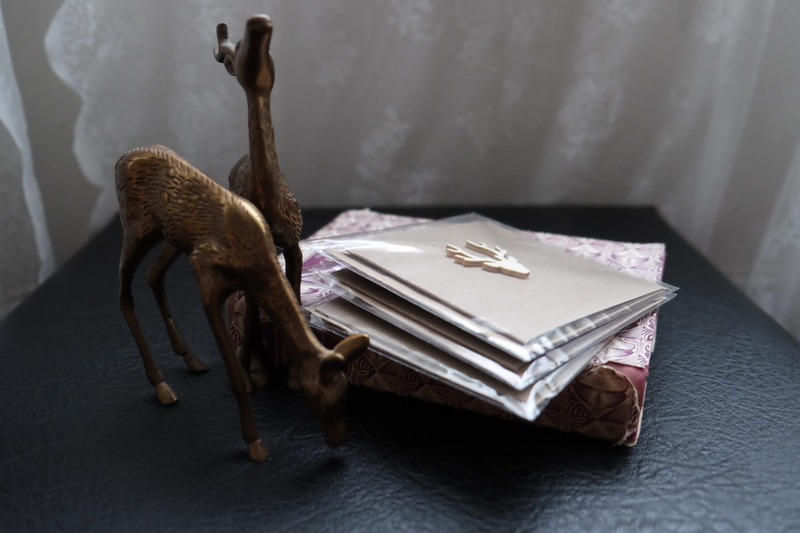 The card comes with a matching recycled brown envelope and in a cellophane sleeve. SKU: SHC-01. 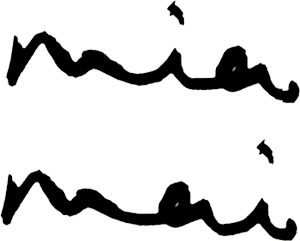 Category: Greeting Cards. 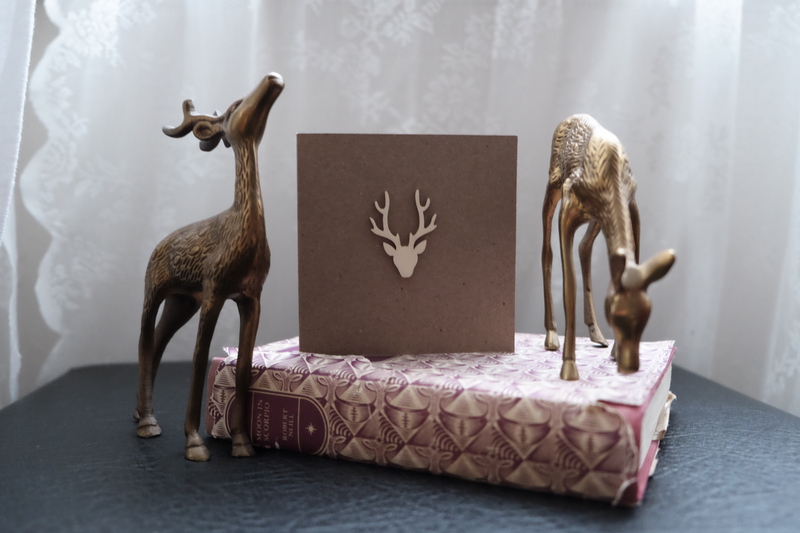 Tags: Card, Cards for Him, Christmas Card, Greeting Card, Laser-cut wood, recycled, Stag Card, Stag Do Card, Stag head card, Stage Head. 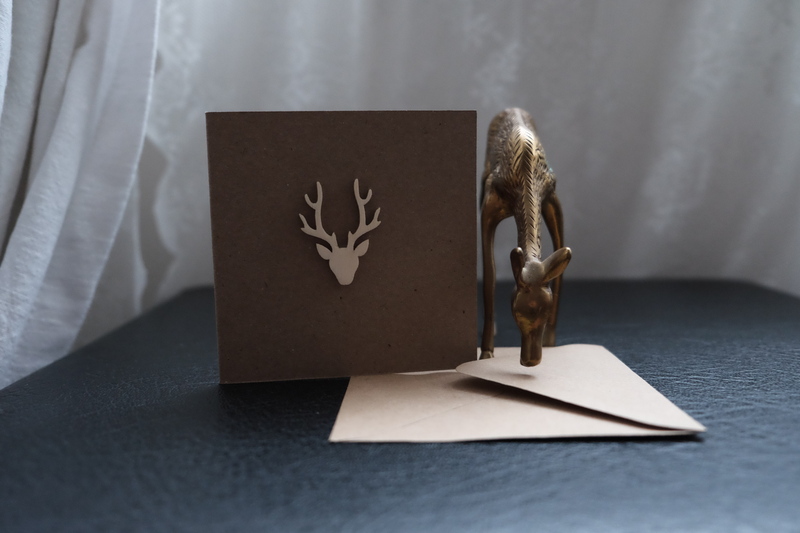 This beautifully simple card has a laser-cut stag head glued to the centre front of a recycled brown Kraft card. 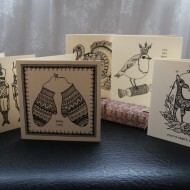 As these cards have been finished by hand and because of the natural quality of wood some irregularities may occur and the card you receive may vary slightly from the one pictured but rest assured each card has been lovingly made with care. The inside of the card has been left blank for your own personal message and the back has been stamped with Mia Mai. The finished card measures 10.2cm square. The card comes with a matching recycled brown envelope and in a cellophane sleeve.